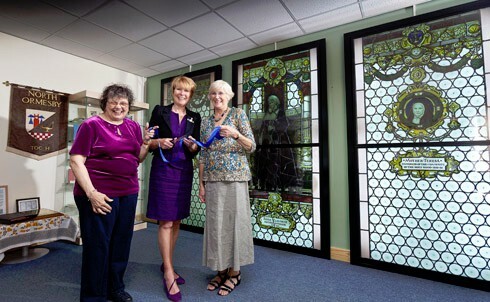 We have been supplying Stained Glass support and display frames since 1978. There is very little we cannot undertake and as well as Stained Glass, we have provided systems for plaster friezes, tapestries and even a traveling “Street Furniture” display. We love a challenge. So even if you think your needs might be unworkable, get in touch. We can probably make it a reality. If you’ve got a need to display, store or transport stained glass, you’ve come to the right place! This famous music college in Greenwich, London, had some old glass that had lost it’s home way back in the past. We were able to restore and clean the panels, frame them and fit to a custom designed lighting unit. With most of our systems, once the installation is complete, you never notice the frames or mounts. A pity as you miss the craftsmanship of our work – but it does it’s job well, making the Stained Glass look stunning as well as being safe and secure. 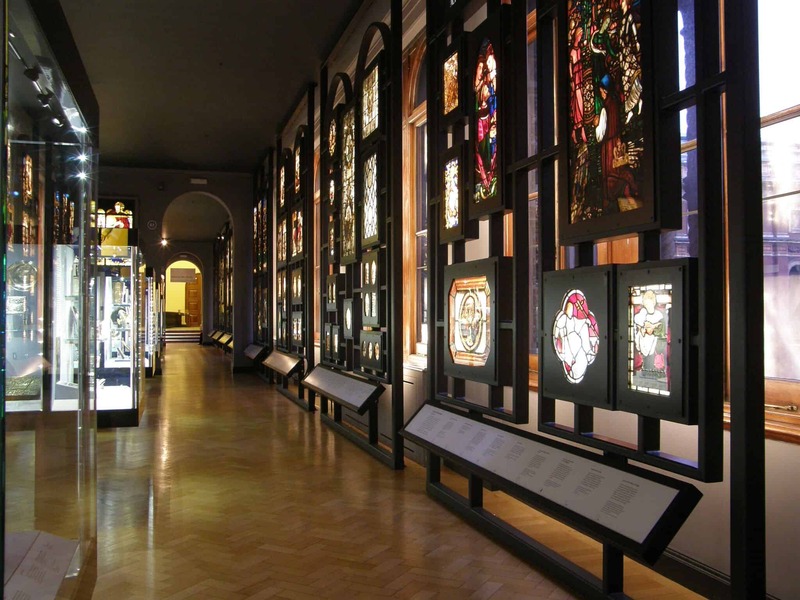 A look along the Victoria & Albert Museum Sacred Silver and Stained Glass Gallery showing many fascia frames. 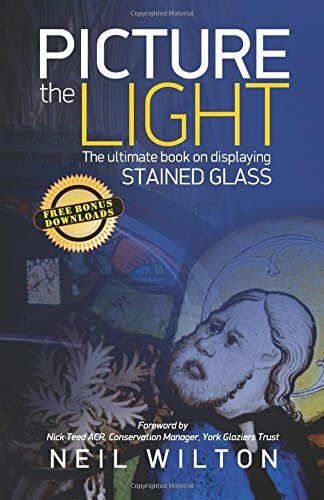 The definitive book on lighting and displaying stained glass.